Substance abuse clinics help countless people end an alcohol or drug addiction, and they can help you, too. Whether you’re addicted to drugs like marijuana or heroin or you’ve developed an addiction to alcohol, substance abuse clinics are designed to help you recover for better health and a higher quality of life. If you’ve been searching for substance abuse clinics near me, you may be presented with quite a few options in the Tampa Bay area. But not all residential treatment facilities for substance abuse are created equal. Perhaps you’ve read in the news that there are a number of substance abuse clinics in southern Florida that are less than reputable, preying on addicted individuals who have insurance and milking the policy for all it’s worth while providing very little in the way of meaningful treatment. The good news is that Florida is cracking down on these rogue substance abuse clinics, but to protect yourself, it’s essential to choose carefully to avoid being the victim of a scam. What Do High Quality Substance Abuse Clinics Have in Common? High quality residential treatment facilities for substance abuse are licensed by the state and employ licensed, well-trained staff who are experienced in treating addiction. Successful programs have a track record for effective addiction treatment and will show you the metrics to prove it. The best facilities are accredited by an impartial, third-party accrediting body and offer a holistic approach to treatment that includes a variety of research-based traditional and complementary therapies. They offer individualized treatment plans based on your unique needs, problems, and issues. 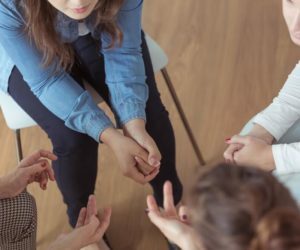 Holistic treatment addresses a variety of complex issues that underlie the addiction, and it offers the best possible treatment outcomes, according to the Substance Abuse and Mental Health Services Administration. Holistic substance abuse clinics use traditional therapies like cognitive-behavioral therapy and complementary therapies like art therapy and restorative yoga to address issues of body, mind, and spirit for whole-person healing. Identify and work through underlying issues. Identify and change unhealthy thought and behavior patterns. Address medical and mental health problems. Develop essential skills to cope with relapse triggers like stress and cravings. Discover purpose and meaning in your life, drawing on your inherent strengths and values. Repair broken relationships and improve family functioning. Address multiple needs, such as legal, educational, or vocational needs. Once treatment is complete, high quality substance abuse clinics will put you on an individualized aftercare plan that will help ensure your continued recovery in the early weeks and months after treatment. WhiteSands Treatment is a high quality, holistic rehab center with accreditation and a proven track record for successfully treating addiction. We utilize research-based traditional and complementary therapies and individualized treatment plans to help you overcome your addiction once and for all. Ending an addiction is hard work, but WhiteSands Treatment can help you develop the skills you need for success and the mindset of a non-user. Addiction treatment works for most people who engage with their treatment plan, and it can help you end a mild or severe addiction and restore your quality of life and sense of wellbeing for a happy, hopeful future.